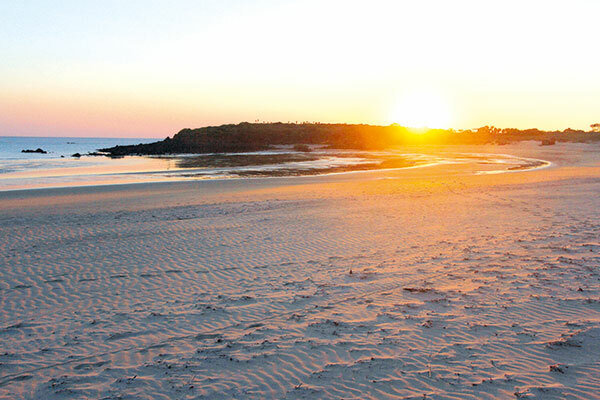 The majority of travellers to the remote Dampier Peninsula stay at Broome or, if they venture north, at the Kooljaman eco-resort on Cape Leveque. While these are two worthy destinations, they bookend a broader landscape that is historically important, culturally significant and naturally inspiring – features that more than justify the peninsula’s inclusion in the West Kimberley National Heritage Area. 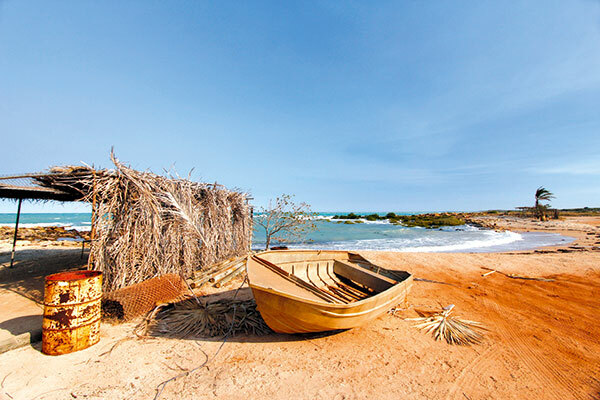 The Dampier Peninsula is a roughly triangular extension of the mainland, with a coastline of 1100km, bound by the Indian Ocean to the west and King Sound to the east, enclosing almost a million hectares of land. Although Cape Leveque is only 210km north of Broome, travellers by road should allow about four hours to cover the distance on a route that is sealed for only half its length. The rest is a sandy, corrugated ‘red dirt devil’ that has the reputation of being one of the Kimberley’s worst roads. 4WD vehicles are highly recommended for this track and tough off-road vans and camper trailers will normally survive the ordeal. If you’re coming from Derby, the Bedunburra back road (or Nillibubacca Track) offers an alternate route to the cape. 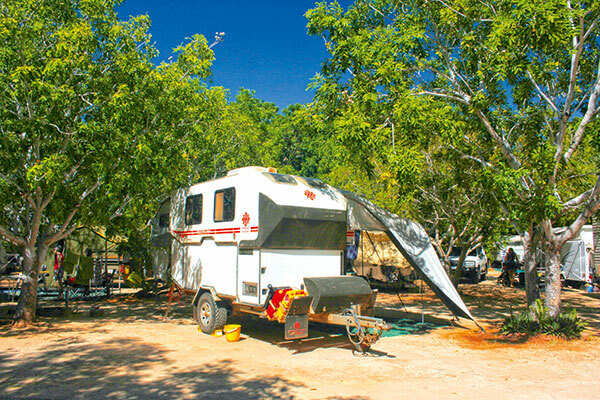 From a major, but unmarked, junction on the Great Northern Highway, 110km west of Derby, this private road traverses pastoral land and Aboriginal country to join the Cape Leveque Road just south of the Beagle Bay turn off. 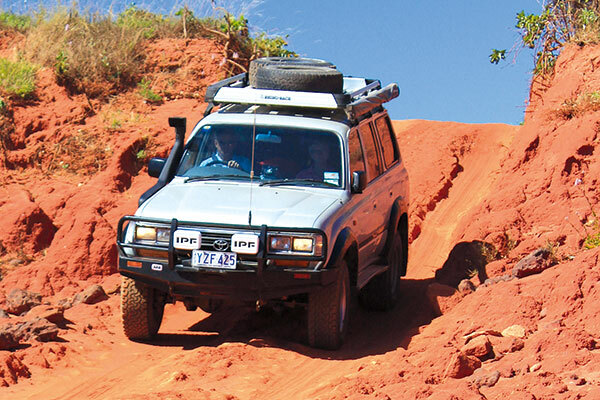 The track is reputed to be more attractive than the main road and usually in better condition, although it has many soft, sandy sections that require 4WD and some clearance. It can also have some big bog holes until late in the dry season. In this remote north-western part of Australia, the weather reigns supreme. 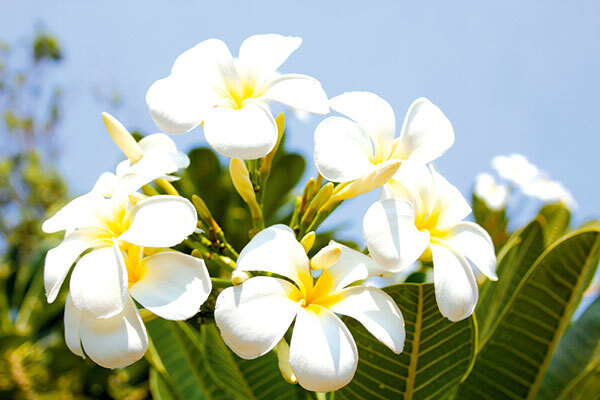 The peninsula enjoys a tropical climate with a distinct dry season (April to November) with little or no rain and a monsoonal wet season (December to March), when humidity is high and most of the rainfall occurs. During the wet, all roads in the peninsula may be closed due to flooding. 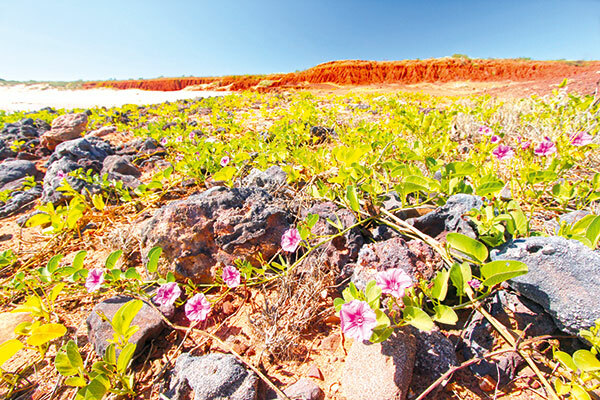 Travel anywhere in the Dampier Peninsula and you can’t help but be impressed by its vibrant colours. The brilliant turquoise of the ocean contrasts with the deep red sandy soils. 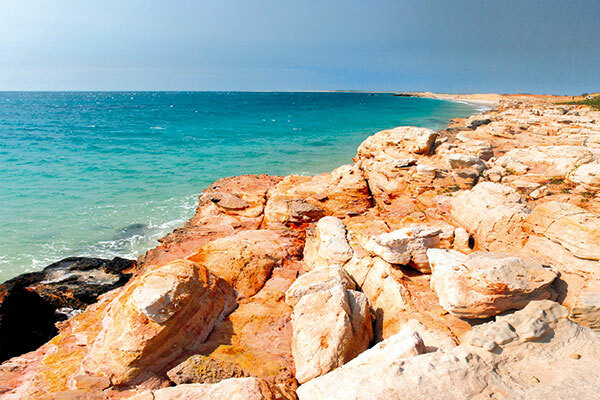 The geological source of the richly-hued landscape is Broome sandstone, an iron-rich sedimentary rock deposited in a shallow sea around 130 million years ago. Weathering has eroded the rock to a distinctive red sandy soil known as Pindan. Erosion along 200km from Broome to Cape Leveque reveals footprints of at least 15 different types of dinosaurs. They include prints up to 1.75m long of a sauropod (a four-legged herbivorous dinosaur) that was possibly 5.5m tall at the shoulder, 30m long and weighed up to 80 tonnes. Some sites contain trackways that indicate the passage of an entire herd. Fossilised human footprints have also been found at several sites on the Dampier Peninsula, dating back about 2000 years. They include a trackway of ten footprints, probably made by two people, and comprise one of only three documented human track sites in Australia. The human landscape of the Dampier Peninsula is also enriched by a succession of Dutch, British and French navigators during the 17th and 18th centuries. The most significant was William Dampier, who reached the Kimberley coast in 1688 en-route to raid the Dutch East Indies in the British privateer Cygnet. For more than two months, Dampier recorded his observations of plants and animals and the indigenous people he encountered. His published journals played a pivotal role in transforming European perceptions of the mythical Terra Australis Incognita. Dampier’s books stimulated further discovery by rival explorers, among them Nicholas Baudin, who named the peninsula’s northern cape after his hydrographer, Pierre Leveque. A distinctive visual feature of the Dampier landscape is the boab, a long-lived tree related to the baobabs of Madagascar and the African mainland. 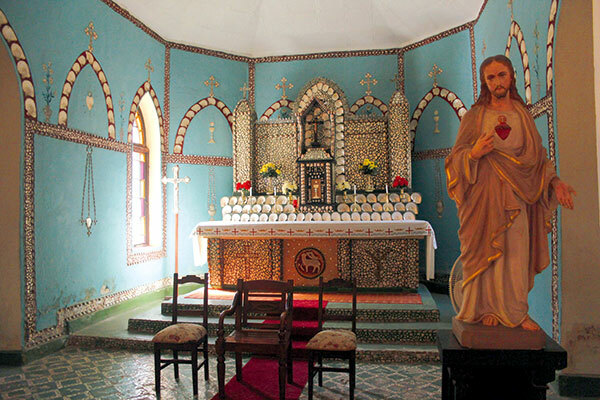 It has significant cultural value and utility for many indigenous Kimberley locals, ranging from the mundane to the sacred. The peninsula’s Pindan country vegetation possesses few resident bird species. However, the nutrient-rich mudflats of Roebuck Bay, south of Broome, attract as many as 300,000 migratory shorebirds annually, across more than 300 species. This makes it one of the most important international ‘wintering’ grounds on the Australian continent, and is therefore protected under the Ramsar Convention. A key feature of the Dampier environment is the luminescent pearl shell found along its coast. Long before the arrival of Europeans, it was highly prized by the Aboriginal people of the west Kimberley and inland Australia as the ‘emblem of life’. It was the most widely traded commodity in Aboriginal Australia, as far south as the Eyre Peninsula in South Australia and as far east as Boulia in Queensland. After European settlement, Kimberley Aboriginal people traded pearl shell with settlers and pearlers for rations and goods. Today, Western Australia’s pearling industry is worth over $100 million annually in export income and employs around a thousand people. Another awe-inspiring aspect of the Dampier seascape is the annual passage of humpback whales within camera-shot of its western shore between mid-August and mid-September. Since the end of commercial whaling in 1966, the estimated number of these migrating whales has grown from fewer than 600 to more than 22,000, comprising what is believed to be the largest population of humpbacks in the world. 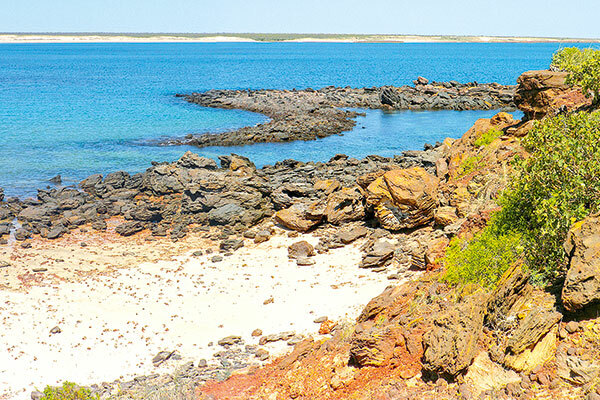 There is no end of things to see on the Dampier Peninsula, and plenty of places to stay. The aptly named ‘Nature’s Hideaway’ at Middle Lagoon, is favoured by many travellers not only for its peaceful location, but also for its central position within easy drive of all the hotspots. The longer you stay, the more you’ll enjoy. The full destination piece appears in Caravan World #565 2017. Subscribe today for the latest caravan reviews and news every month!